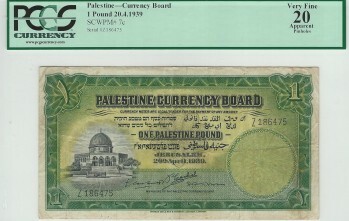 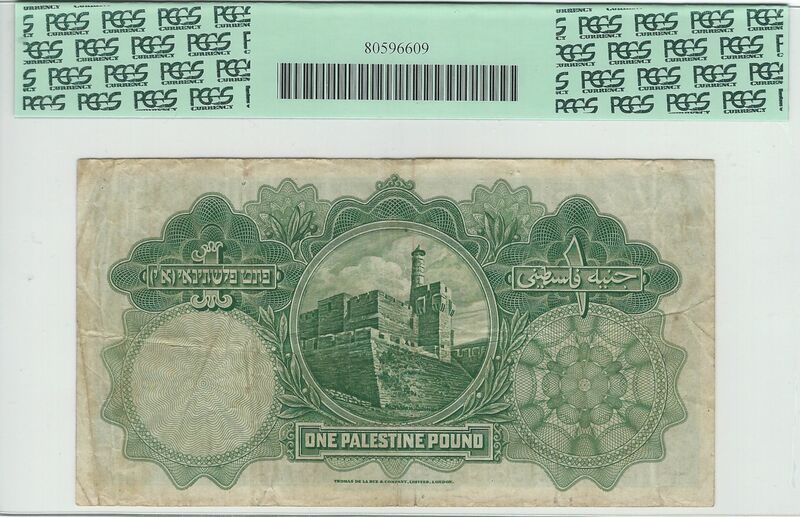 PCGS notes "pinholes" on this lightly circulated Palestinian one pound note. 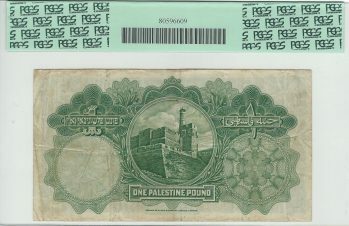 It does have about 15 pinholes that can be seen when held to the light. However, you would have a tough time finding another VF 20 with colors as bright, margins as square, and paper as crispy as this note.